So I was thinking about this earlier today... If for some reason I wanted a more chibi-styled Freeza I could customize into a Kuriza to go with my figuarts collection, would anyone happen to know a good one to use? It wouldn't need to be articulated, just something that'd be about the same height as a potential Goten/Trunks (I think the Kid Goku Tamashii showed off would be a decent gauge if it was out). Admittedly I don't know much either, but I like the idea of a gag villain being paired against Goten and Trunks the same way I have Goku/Vegeta against Freeza. It just seems... right somehow. That said, his design in both forms is essentially just a smaller Freeza with a little nub on his head (because chestnut name pun). Photo by Victor Png on Facebook. Scultures Broly is definitely Figuarts scale. This pic has a grungey texture Photoshopped onto it, so try to ignore the texture on Trunks' jacket and such. I've been seriously considering getting this Broly for my Figuarts collection (partly because he's a lot cheaper than the LSSJ figure, and partly because all my other Saiyans are "Base" form) but I was wondering before I took that plunge, does anyone know if there's anything roughly in scale for "Normal" Broly? This scultures one is pretty much the only option if you want a non-LSSJ version. I don't know of a single large figure of non-SS black-haired Broly other than maybe a pretty poor looking "Mexican Bootleg" of the character. Yeah, that's what I'd gathered. I don't mind this version though, I'll probably order it once I'm paid next week. yeah I've been thinking the same thing, would he work if you repaint his hair black? The statue's hair and build doesn't exactly match a "Base" version of Broly, but I think I might do a bit of painting anyway just because that paint job is SHINY. Probably going to do a matte clear coat, but once I have it in hand I'll see if I want to do a black wash too. That's kinda disappointing. 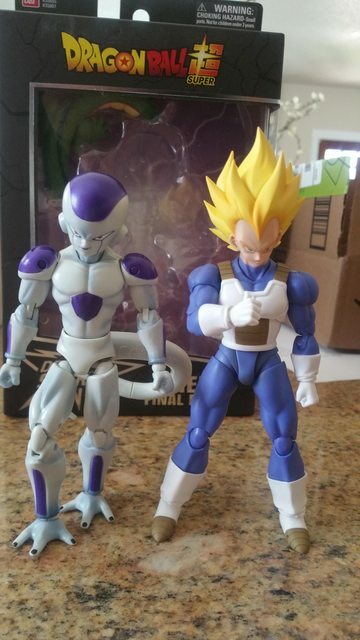 Figure Rise Freeza just barely works as a "Full Power" Freeza in terms of scale, but that Freeza is HUGE even compared to that one. 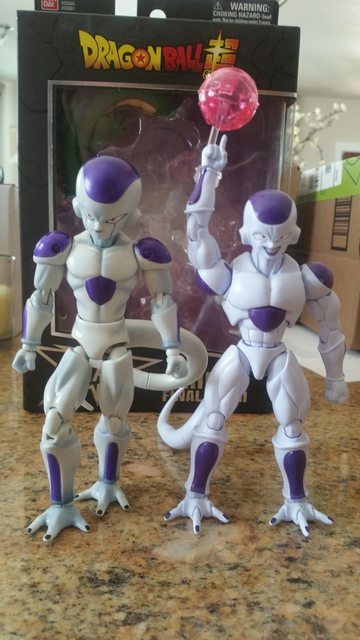 Granted, that might be because the line isn't really "in-scale" with itself (a lot of mass produced lines aren't) so I'm curious what the other figures look like next to Freeza. It would make a really great Cooler form 4! It would be slightly small since Cooler was Goku's size, but it wouldn't be bad at all! He doesn't scale perfectly, but imo he does well enough. Hey there! Long time lurker and this thread has been an interesting read, I was just wondering if it'd be possible to have an actual "LIST" like the thread title describes of figures that scale? And also while I'm here, how does the Pichi Pichi Videl scale with Figuarts? As cool as that is, I don't think that's likely to happen. 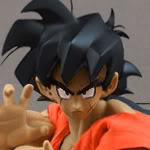 There's a LOT of contention as to what is and is not "in scale" since there is a fairly substantial debate as to whether the figuarts line is in scale with itself(and, to be frank, several figures clearly are not *gives Kid Goku a nasty look*), much less throwing in figures that weren't even made for this line. So yeah, it's ALL subjective. However, it might be worth taking the time and trying to boil some of the more helpful aspects of this list down for newer collectors... or for guys like me who are trying to sniff out decent additions, especially with more and more of the original images being lost in the great photobucket calamity. That having been said, the Pichi Pichi Videl, while pretty, is listed to be at least 18.5cm... or a bit over 7 inches tall. And that's the most conservative size, some listings have it at a full 20cm. So while it's actually pretty amazing, it's kinda huge compared to the Z figures. Edit: I've started to compile all the images that had direct scale comparisons with Figuarts figures from this thread into a single image folder which I linked to my google drive for public viewing here. I've tried to keep things sorted by character/item name and the figure/statue line (even if it wasn't listed in the post the image came from) so interested parties CAN find them if they so choose. I'm still going through pages right now (I'm up to 19 as of this edit) so I've still got a BUNCH to get through. 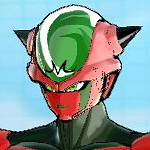 If anyone wants to have access to make edits/add their own images (for example, those that photobucket dumped over >.>) PM me and I'll give out editing privileges for whoever wants them. 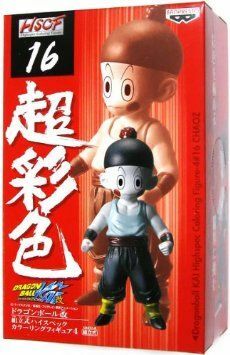 to anyone who has these figures, which chiaotzu is the better scale for figuarts HSCF or the figure collection?